I’m just loving living my life of STEAM = Science, Technology, Engineering, Arts and Mathematics! Being able to combine my devotion for the ocean and its science with my artworks and graphic recording is my creative dreams come true! As part of my life of STEAM I’m working with schools, teachers, educators and STEM-delivery organisations to provide input and advice on what I term creative education activities and ideas. I am finding that a more creative approach to science engages with many more students and ‘drawing out the science’ is a lot of fun too!! I am now a STEM role model and mentor and you can view my profiles below and on my website (https://drsuepillans.com/education/). I’m a Women in STEM role model for FabFems, which are women from a broad range of professions in STEM who can help expand girls’ career options, dispel stereotypes and spark their STEM interests! And I have just been profiled as a Queensland ‘STEM in action’ Marine Ecologist and Artist. So check out my profiles to find out how our youth can also lead a life of STEAM and turn something they love into something they live! 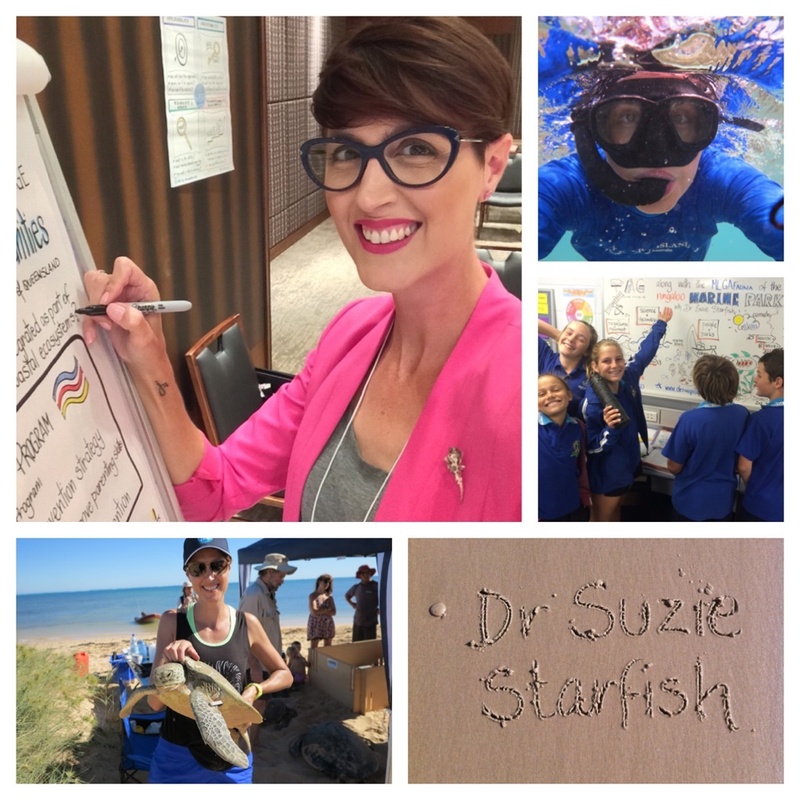 You can also follow my creative journey and connect with me via my alter ego Dr Suzie Starfish (https://www.facebook.com/drsuziestarfish/) and @suepillans on Twitter and Instagram. ← It’s Whale Shark Day! !